Adidas envisions a future where worn-out sportswear isn’t thrown away, but rather broken down and remolded with scrap material from other industries to create new products. Its “Sport Infinity” initiative, announced Thursday and funded by the European Commission, seeks to create a new breed of sporting good, one that can be fully and repeatedly recycled while allowing for greater freedom of design. 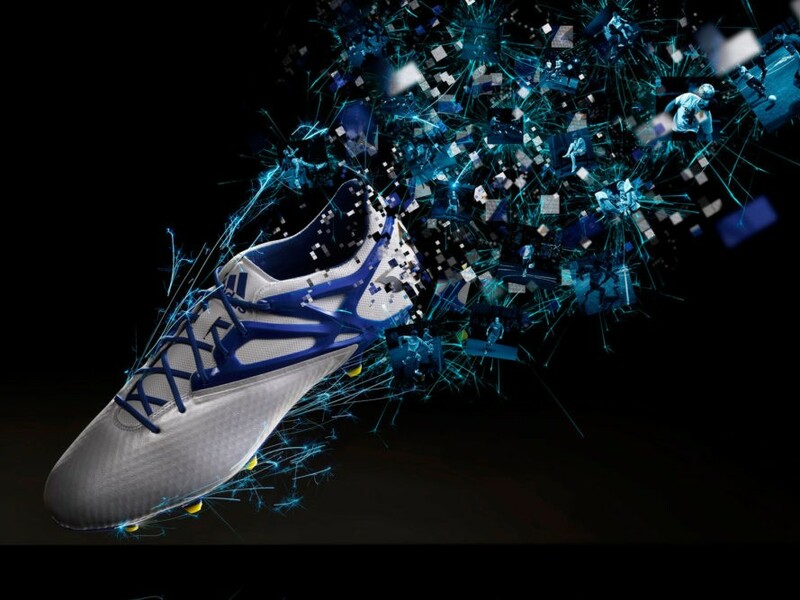 “The football boots of the future could contain everything from carbon used in aircraft manufacturing to fibers of the boots that scored during the World Cup,” Adidas said in a statement. The world’s second-largest athletic-wear manufacturer, after Nike, says it’s developing a three-dimensional “super-material” that can be endlessly restyled using a waste- and adhesive-free process. By allowing consumers to easily determine the colors and functionality of their product, the new material will “make any sports fan a product designer,” Adidas said. Of his potential role in Adidas’s new manufacturing method, four-time FIFA Ballon d’Or winner Leo Messi had a few words of his own. Adidas envisions a future where worn-out sportswear isn't thrown away, but rather broken down and remolded with scrap material from other industries to create new products. Its "Sport Infinity" initiative, announced Thursday and funded by the European Commission, seeks to create a new breed of sporting good, one that can be fully and repeatedly recycled while allowing for greater freedom of design. 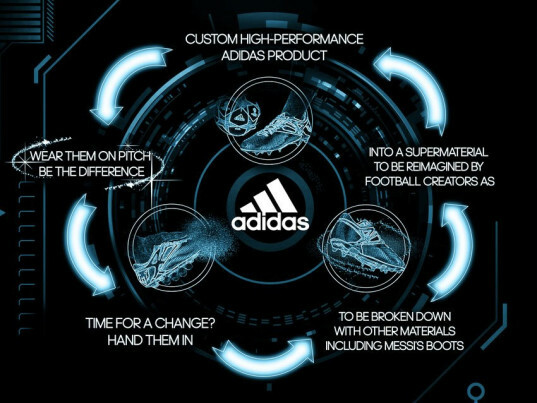 "The football boots of the future could contain everything from carbon used in aircraft manufacturing to fibers of the boots that scored during the World Cup," Adidas said in a statement.